Meticulous and conscientious is what describes designer Simone Bonanni’s path breaking work. A graduate of the prestigious Istituto Europeo di Design (Milan), Simone Bonanni is one of the most well-known young designers in Europe. 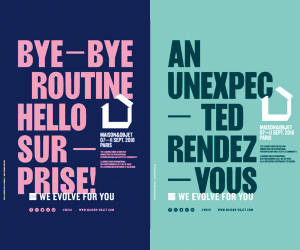 Based in Milan, he has worked for some of the most reputed design studios in the region. 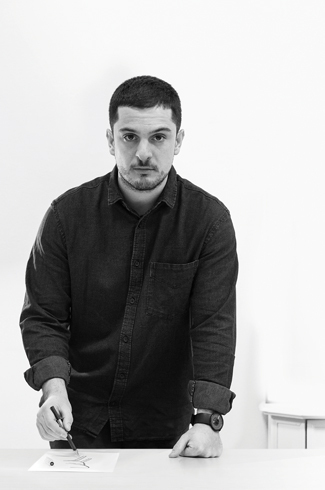 Born in Pordenone, Italy in 1989, Simone Bonanni has been the name behind several iconic product designs. An honours graduate in industrial design, Simone Bonanni started his career at Valerio Sommella Design Studio in Milan in 2011 before moving to The Netherlands the next year. During this period he worked as a project head and lead designer for several reputed clients like Olivari, Bisazza and Magis. He returned to Milan in 2015 wherein he founded the Simone Bonanni Design Studio in the city. With several projects for international brands and product designs to his credit, Simone Bonanni also teaches at the Istituto Europeo di Design and IED Master in Milan. A perfect gift for both ‘him’ and ‘her’, the Duet is a unique creation that is a pair of rings derived from a single piece after splitting the same with utmost precision. 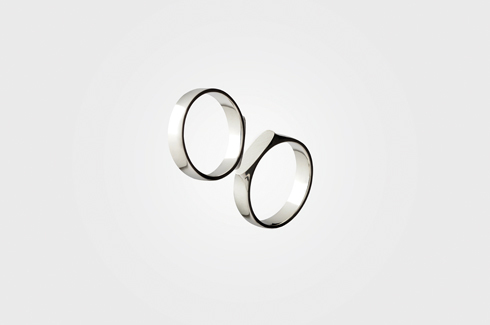 While the rings are custom made to fit two different sizes, the flat top in both rings is identical, symbolic of the eternal bond between two lovers. Inspired by the scientific theory of Quantum Entanglement, the ring is an embodiment of love, partnership and growth. Contemporary and classy, Homey is the name given to the bathroom collection designed by Simone Bonanni and Attila Veress. 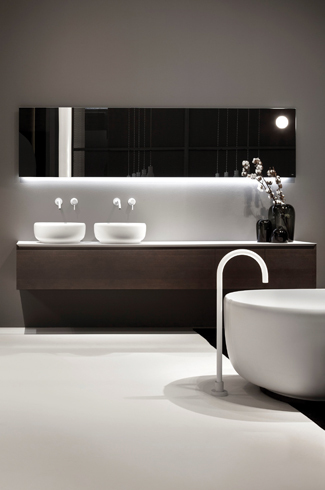 It consists of 3 components: the bathtub, countertop and the washbasin. 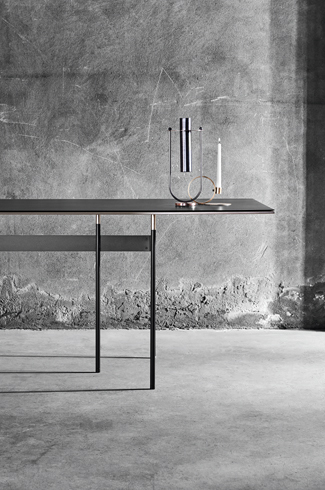 With metal elements, the collection is classy and a perfect combination of aesthetics and functionality. With soft curves and a smooth finish, the collection is surely an asset to any bathroom! Looking for something chic, elegant yet truly useful in the kitchen? 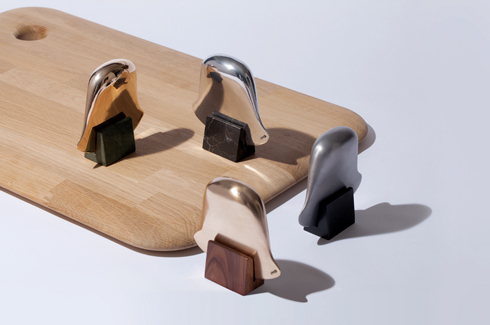 Then the limited-edition bronze and aluminium herb choppers from Simone Bonanni are the answer. In a style that exudes plenty of character, the choppers are ergonomically designed to ensure maximum utility. Apart from its functionality, the choppers serve as pieces of niche décor on the kitchen counter and are available in materials like glossy bronze, brushed bronze, glossy aluminium and brushed aluminium. While the bronze version is lead free, the aluminium one is not entirely food-safe, though it can still be displayed proudly as a piece of sculptural value. A lesson in innovation and reinvention, Loom is a whole set of novel bathroom accessories that redefine traditional looks and allow users to play with the individual pieces giving wings to their creativity. The assorted set consists of modular-shelving elements, multi-purpose containers and smaller objects that can be put together in different ways to create new looks and to serve various functions. An easy chair designed for both comfort and style, the MDF Italia is an easy chair that comes in a variety of finishes and upholstery including leather and fabric. The solid oak wood legs form a contrast to the deep hued seat. A signature creation the chair is suited for a variety of spaces whether residential or commercial. 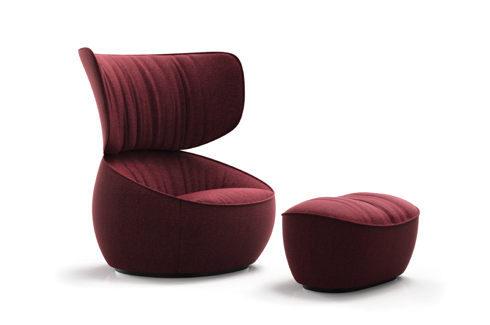 A statement piece, the Hana arm chair with its rotund frame and wingback is a creation of exclusive design. The differentiating feature of the chair and its accompanying footstool is its luxurious yet cosy and snug structure that makes for an ideal way to relax and rejuvenate. 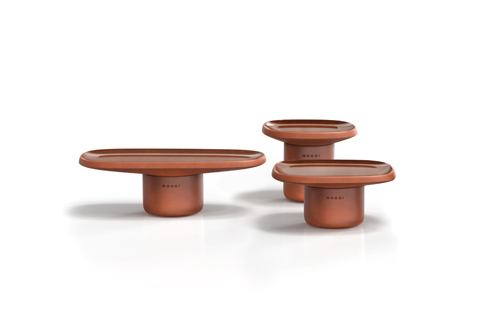 A set of three tables that are a picture of novel design and creativity, the Obon tables have an earthy and rustic vibe. Inspired by terracotta which is an indigenous material, the tables with their broad tops and stocky bases are sure to add a hint of quirk to any space. With the use of traditional mosaic as its main component, the Mosaic centrepiece is a limited set of decorative plates. With a colourful centre, set against a white background, they form for ideal interior accessories. The motifs are classic and modern and come in a variety of progressive hues that are concentrated in the centre and blend effortlessly at the periphery into white. A metal table that is precision and perfection personified, Tartan is made in varnished black iron with brass detailing. 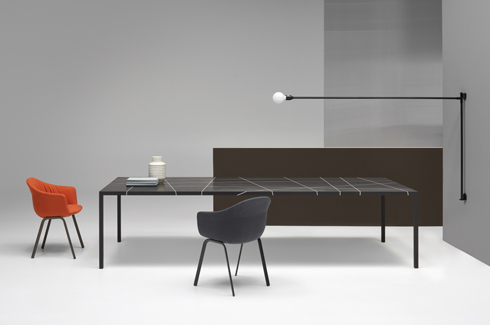 An interplay of horizontal and vertical components that are joined together to form a visually appealing structure the table is trendy and chic. 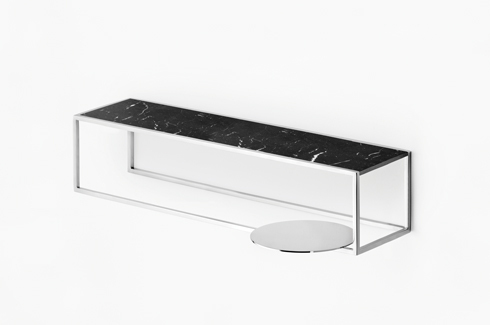 The table top sits as a thin blade atop, resulting in a graceful and sophisticated look.